Humankind has dwelt together with animals for thousands of years. The history of our relationship with them is a long, rich, wonderful and sometimes shameful one. We love them, hate them, eat them, domesticate them, destroy them, worship them, wear them, clone them and lead them to extinction, as we live off them in affection, fascination, need and greed. They roam around our gardens, streets, our imaginations and our nightmares. They love us, care for us, intimidate us and entertain us. They protect us and reflect us. They also kill us. Great men like Gandhi and Lincoln highlighted the treatment of animals as a sign of how healthy our society is. Animals have featured in our art since cave paintings and campfire rituals. Our fear and fascination of them is found in our sculpture, literature and our mythology. Orwell's Animal Farm, Adam's Watership Down, and Ionesco's Rhinoceros are among the greatest literary classics. Animals feature in all sorts of traditional and contemporary spaces, in many cultures, from martial arts to haiku, to fairytales, to tattoos and some of the greatest pop songs. Animals have always had this dual charm and dual challenge for me. I love them so much I want to hold onto them, but I know that the right thing to do is to let them go and be wild. And I often love them as much as I fear them. But, if you put the feathers and fur aside, and I could be talking about humans. Animals are often referenced when we want to talk about human behaviours that we prefer to distance or disassociate ourselves with. We often conjure up the names of animals when we talk about the less savoury, or more taboo kinds of human behaviour. I am curious about the way we refer to animals as this 'other' which we secretly know is much more like us than it might be convenient or comfortable to admit. We allegedly have more manners and intelligence, but that is not always so evident. It's this love and hate, this affection and fear, this closeness and distance, this familiarity and ignorance that I find fascinating. Animals as this 'not us' and this 'other us'. Theatre maker and thinker, Tadashi Suzuki talks of the 'innate animal energy' from which a strong and healthy human culture comes from. Something that is firstly more natural than industrial, more expressive than mechanical. I am excited about how Fringe 2016 could bring a bit more of the wild, the natural, and the instinctive into our physical and emotional space in the heavily built up concrete jungle that is Singapore.  I am excited to see how your creative investigations into 'Art and the Animal' might invite us into a whole bestiary of exciting new questions, games, adventures and songs. 13 – 24 January 2016.